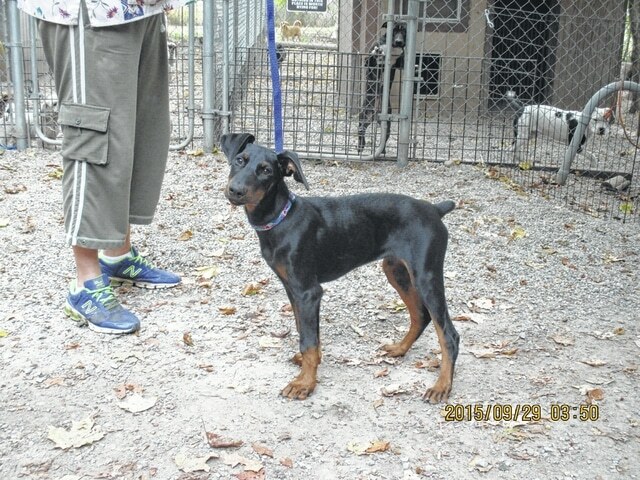 A 5-month-old baby boy Doberman recently was surrendered and will be neutered, fully vaccinated, wormed, and micro chipped before placing. He is an energetic puppy, so very loving, and smart and will be a great family member in the right home. Please call His Hands Extended Sanctuary/Humane Society to inquire and be approved to adopt: 937-663-0015.
https://www.urbanacitizen.com/wp-content/uploads/sites/36/2015/10/web1_IMG_1172.jpgA 5-month-old baby boy Doberman recently was surrendered and will be neutered, fully vaccinated, wormed, and micro chipped before placing. He is an energetic puppy, so very loving, and smart and will be a great family member in the right home. Please call His Hands Extended Sanctuary/Humane Society to inquire and be approved to adopt: 937-663-0015.